Your spending can very quickly get out of control if you don’t keep an eye on it (ask me how I know, haha). One minute, you’re picking up a bargain here, a deal there. The next, you’re looking at your credit card balance and thinking… how much can I sell a kidney for? 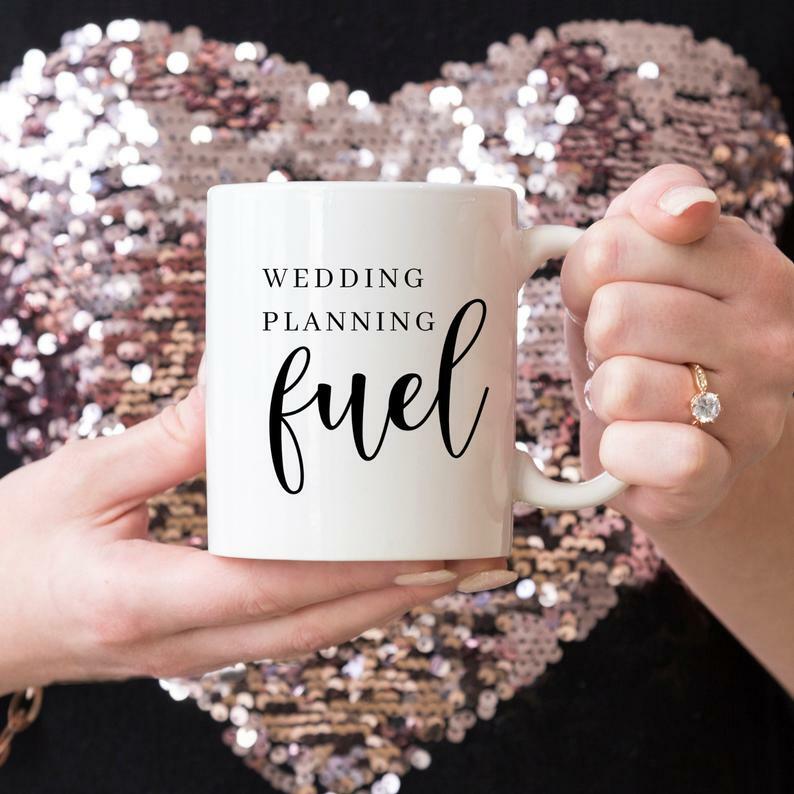 Add in the emotional fraught and stressful activity that is wedding planning – well, I’m sure some of the accidental overruns are worth a couple of kidneys and your firstborn, at least. How on earth does this happen? I know it’s easy to blame ‘the wedding industry’, the old: “you just say wedding and they double the cost“. But in repeating this, in believing this, we’re allowing ourselves to be the victims, attributing the blame to some unidentified ‘other’. Shouldn’t we take responsibility for the money stuff? Isn’t it a lot nicer to be in control? I’m going to head off any exclamations of “but it’s just SO expensive to get married”. Stop right there. It actually isn’t all that bad. 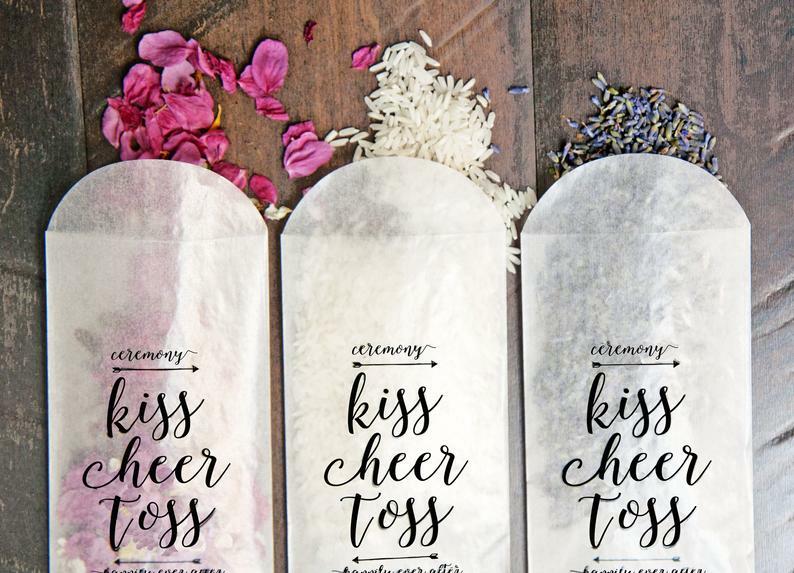 What you’re thinking of is a bells-and-whistles wedding. If you want to get married, no frills, it’s possible to do so for around $100 for a celebrant, plus the cost of your marriage licence, ~$150. The compromise here is the celebrant doesn’t personalise your ceremony, you write your own vows, there’s no music or rehearsal, plus limited options for guests/days/times/places. 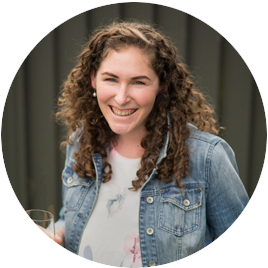 This is PERFECT for some couples (and if you’re looking for a Dunedin-based Celebrant, I know Angela Port offers this service and she’s a super cool chick). For other couples, it’s not an option – whether that’s not your cup of tea, or you just *have* to have family there – whatever the reason – that is your choice. So don’t get upset about the cost as it’s not being forced upon you. It’s under your control. How do I keep track of what I’m spending on my wedding? You initially need to figure out how much you have to spend. Although, you need to know how much it’ll cost, so you do tend to go in circles working this out. 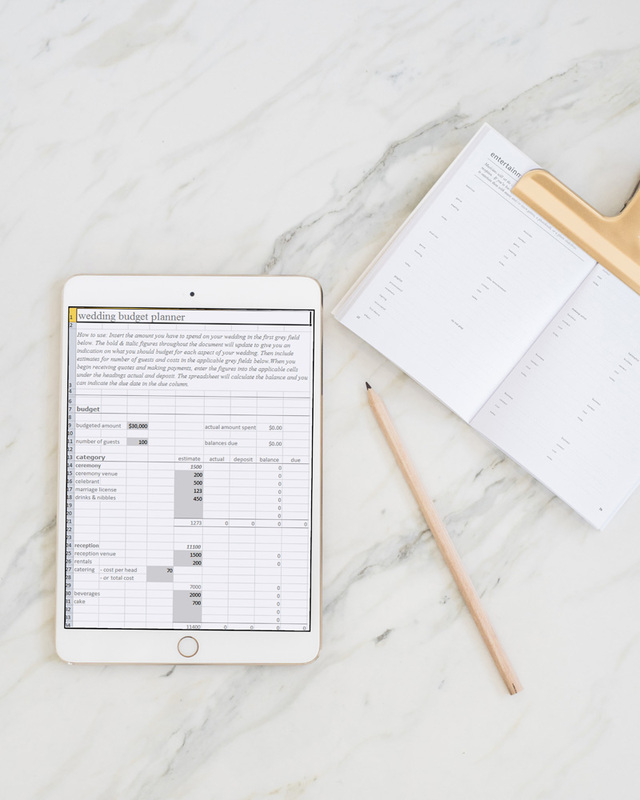 Once you have a rough idea of what you might have to spend, then you can start fleshing out your wedding budget, to see if the amount you have, the guest list you want, and the vision you’re planning is realistic. You might find the wedding you want won’t work with the budget you have – so as a couple, decide if you change the scope of the wedding (scaling back the celebrations or guest list), or the budget (by finding more money). 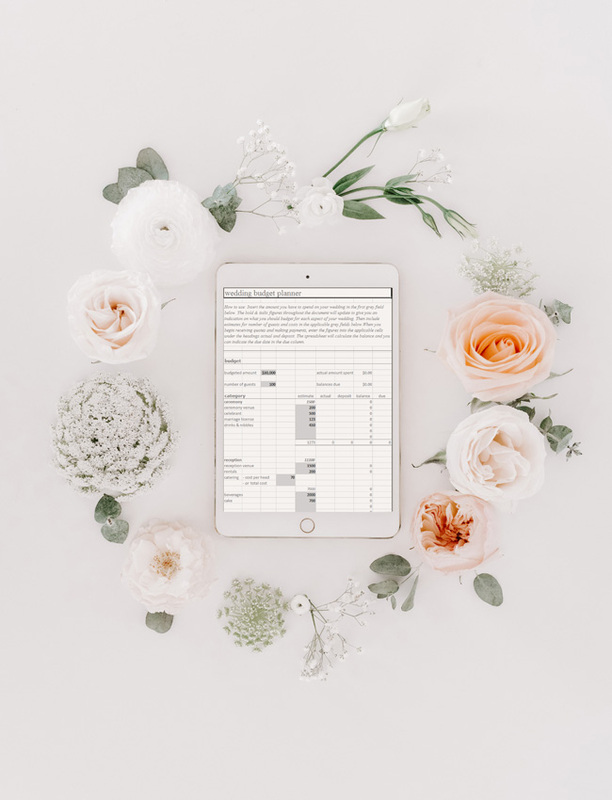 That’s why I always bang on about our wedding budget planner – you can input a rough $ figure, bridal party size and guest count into the spreadsheet It’ll portion out the budget across all the aspects of a bells-and-whistles wedding. You can then skip all the fussing around with ‘have I covered everything/what does X cost’, because you’re not trying to ballpark figures. More info on the budget template here. Go through your wedding day in your head, step by step, and start writing down all the costs that may be incurred. For example, your ceremony might include the venue hire, celebrant, marriage licence, seating, decorations, an afternoon tea afterwards, transporting your guests to and from the venues. Don’t stress about missing anything out just yet, as this is just a start and you will be adding and removing things down the track anyway. The next step for your budget is filling in some really rough figures against each item. It is a good idea to do this in conjunction with your partner so you can both understand where the money might end up going, and this process can start some conversations about your priorities (did you catch what I said about compromises earlier?). 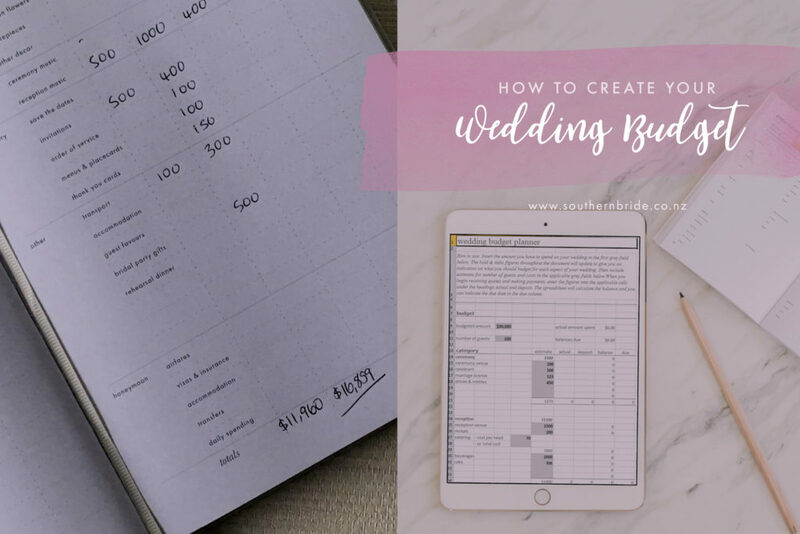 If you want a guide to what some things might cost, you are welcome to use my budget here to get yourself started, or check out our Wedding Budget Template and Planner that I mentioned earlier. Step 3: How much does it cost? When you get engaged, chances are you don’t know how much stuff costs. So what you first come up with for a budget it is potentially unrealistic. But that’s okay – how many times do you throw a massive party for 100 of your nearest and dearest? 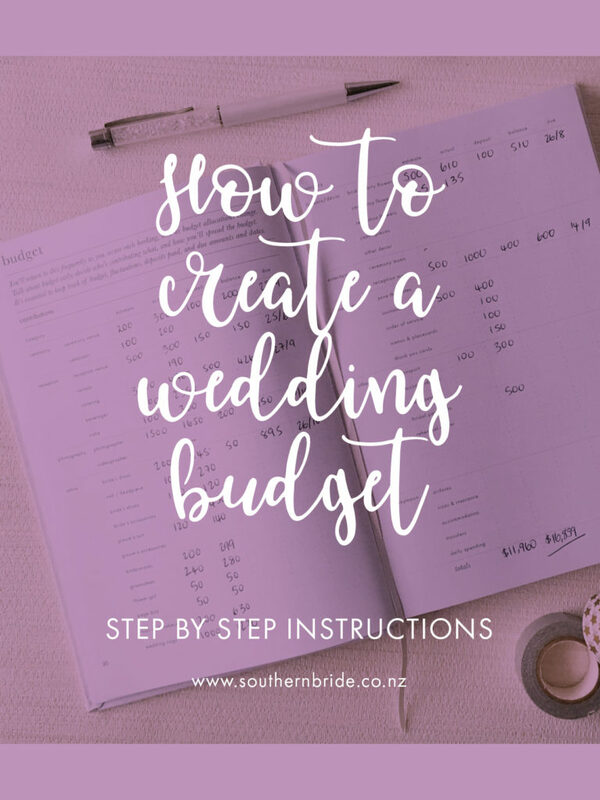 Over at our post ‘Portioning up the wedding budget’ we get into where your wedding budget goes – if you’re having trouble with this step, that is a good article to read over too. This activity is all about educating yourselves on what your wedding might end up costing. Total up what you’ve got and pop open some bubbles…either to celebrate or commiserate what you’ve got to spend. Step 4: What are your priorities? Reflect on the total that you’ve come to, and decide if that is realistic for you guys. If it isn’t then this is when you need to reflect on your priorities, and whether you need to make some compromises. Spend some time with your partner (perhaps over a glass of bubbles if it’s a suitable time of day!) deciding your five most important priorities. These are the things that you really want for your wedding day. Everything else you can compromise on, but for these things you’ll potentially go all out. my hubby and I wanted awesome entertainment. To afford that, I only had two bridesmaids instead of the 4 friends I originally wanted. You may be adamant your meal will be spectacular, with four courses and white-glove service. But your partner is not fussed on fancy cars, so he’ll get a ride with his groomsmen, instead of paying for a car service. 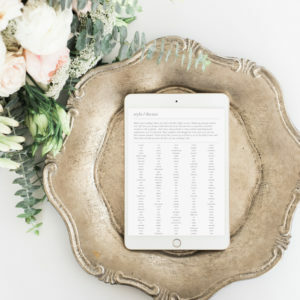 Maybe you want it all… so instead of compromising on any of the trimmings, you circle back to your guest list and reduce that further, or decide to wait another year, so you can save some more money. It’s a lot easier to make these decisions now, than when the venue deposit has been paid, or you’ve sent Save the Dates out (nothing more awkward than having to uninvite someone). 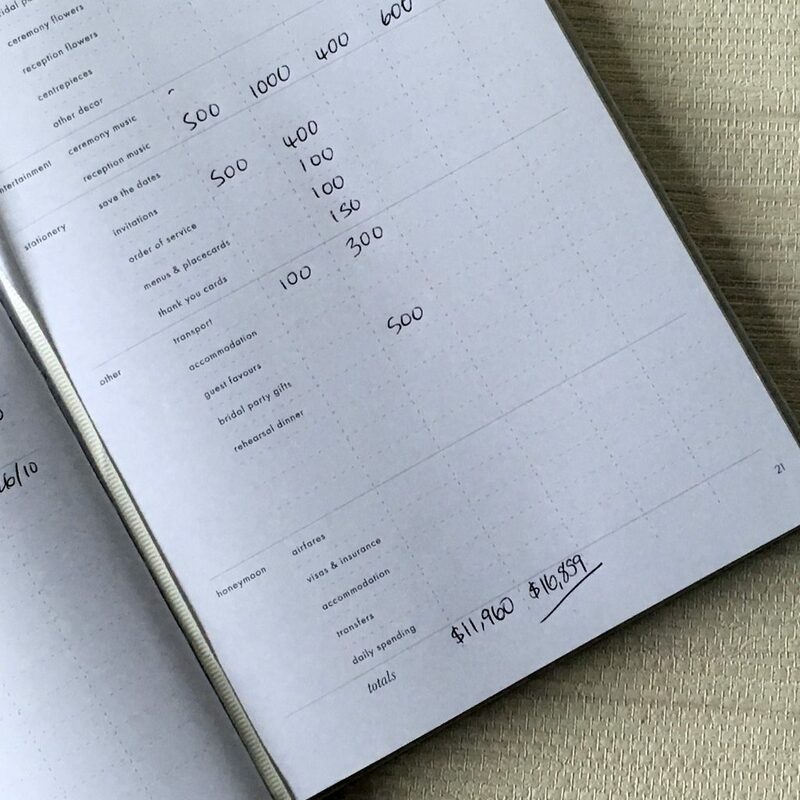 Going forward, you’ll need to (somewhat) stick to your budget…this means tracking your spending and being smart with your planning. This is where the wedding planning checklist comes in. Doing things one at a time, and in the right order means you don’t waste money by making mistakes. 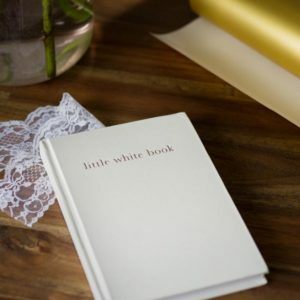 For example, getting wedding invites printed before you’ve booked a celebrant… and you have to change the ceremony time as that is the only time they can do. That means reprinting the invites or contacting all your guests – which is a waste of money. 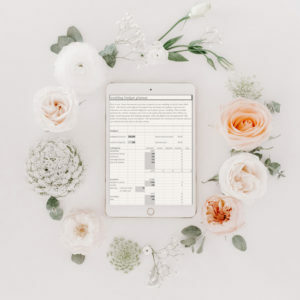 As you book in your wedding vendors, spend money on bits and pieces and pay your deposits, you’ll need to keep track of what is going where, and how much you have spent. I highly, highly recommend doing this in an excel/google sheet template (…like mine naturally) as you can set the spreadsheets up to automatically tally totals – leaving little chance of being shocked at how much totals have crept up. This is probably the most important task, because the budget will continuously evolve and change as you get closer to the wedding. Unexpected costs may crop up, unaccounted for fees may be needed or you may even spot a saving that you can cross off the list. When your RSVP’s come in, you can update your figures further as you may not have as many meals to pay for (or booze to buy, if the big drinkers can’t make it!). By keeping this all accounted for, you will not need to head towards your wedding day with a sense of dread for your bank balance!